"If the Lord wills!" Do you do short term and long range planning? I do. But my planning always has an invisible asterisk: "If Lord, this is your will and your timing." I don't know about you, but God has shown me time and again that if I will be open to him, his timing is always better than my planning. Does that mean I quit planning? Nope. 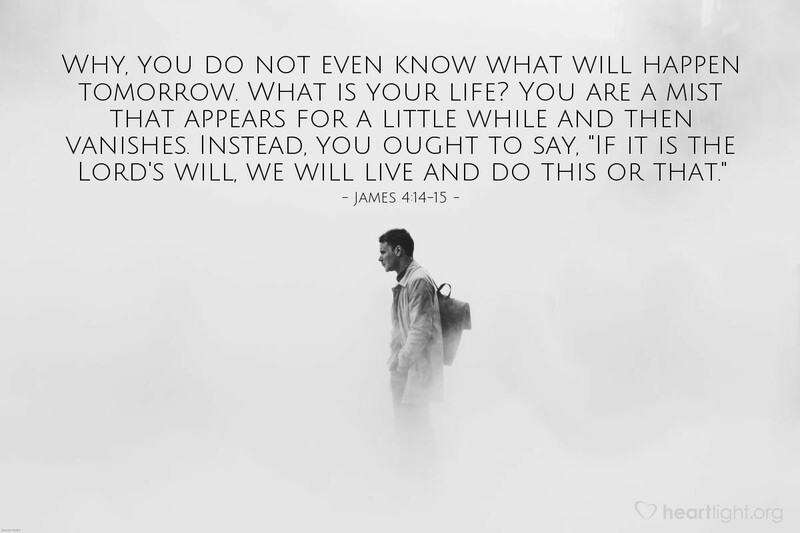 I just plan with prayer, asking for wisdom and the Holy Spirit to help me find God's timing to know and do his will (James 1:5-6 & Ephesians 5:15-18). Life is too short to not plan with prayer and walk led by the Spirit!